can Soviet il 2 sturmovik attack ability increase Planes from 1 to 2 ? just reduce damage for balance or increase cost. BTW il2 is the most produced in WW2 and it can fire rocket. to enable relatively quick to reach T3. But to raise the price of the transition to T4. T3 for Grenadiers and Engineers to make improvement: 1 person in the squad. Engineers of the Wehrmacht in T2 get upgrade - explosives. (allows you to use the PP grenades, set the explosives) - to confront the enemy in the building. For T2 - PAK 43 (gun) - to give the opportunity to blend with the extension angle defeat - before the first shot. For STUG III - ability of direct fire explosive shells (just the firing of the selected point 3-5 shells damage infantry and buildings). 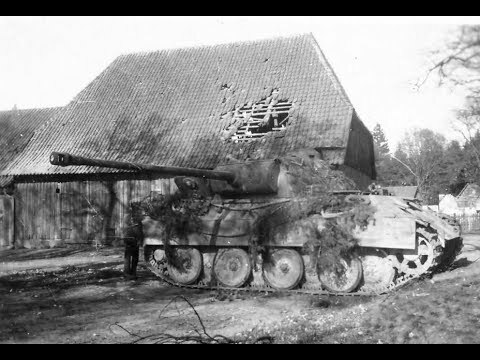 А) Panther extra armor,speed and accuracy of fire - an active ability explosive shells. в) Brumer dug in, in a state gets the opportunity of a shelling is the radius equal to the Ig18. The attack is possible only in the direction posted by the forehead, Brumer. These changes accentuate the asymmetrical style battle Vermaat: assessment of the situation. counter-attack using the abilities of units. Not the pressure due to the excessively enhanced characteristics. The Wehrmacht vulnerable to a fast enemy. -Here the proposal is simple: move the Panzer 4J headquarters. And to make it available with the construction of any T2. When price/performance is an equitable solution. or to make its construction possible when playing T1+T2 (medical staff+mechanized). 1) Forschender - to make improvement - veteran Sergeant in the squad. (available in T1). To replace the STG-44, for the purchase of MG-42(any T1) and purchase of Panzershrek (T2) - one heavy weapon in the squad. 2) Assault engineers - the purchase in T2. 5 people in the unit, immediately available for the purchase of body armor and a flamethrower. 3) Ober grenadiers - purchase at headquarters during the construction of T1+T2. Armed with GW-43, can be equipped with 2 MG-42 or 2 Panzershrek. Available to purchase Lieutenant in the squad (ability of the light grenade+smoke grenade). Medical - can be placed near the headquarters of the anti-aircraft flak 38 turret (one turret). Mechanized headquarters - increases the flow of fuel from the territory where he posted 2 times. the redistribution of equipment between T1/T2. Pz.Kpfw. II Luchs - place in T1 (the medical staff). It is possible to reconsider the cost. Sd. Kfz.251/1 - construction of T1 gives a simple bronetransporta. maintenance of units, transportation and the possibility of firing units are placed. Additional feature upgrades (+the cost in fuel and requisition to one of the options): - Sd. Kfz.251/20 (Filin).Sd. Kfz.251/17 (flak).Sd. Kfz.251/22 (ACS) - analogue of the su-76. An Artillery Piece. OK in this form relies on basic infantry and light armored vehicles in the first half of the game and in late game builds powerful tanks. it is in the beginning - hard to keep the area. Now now... Relic please don't try to switch topics of discussion to the Commanders. While yes, revamping under-utilized commanders is important, making Axis factions viable seems more urgent here. There should be a distinction between the Wehr and OKW panthers, in which since the wehr panther arguably arrives later and does not carry the same sort of vetting system that the OKW panther has. The main issue that people have with the panther is that (for the allies) it's unkillable, combined with the fact it's spammable, could easily bumrush comparatively thinner skinned allied TDs and mediums alike by simply A moving right into an Allied TD. I will say throughout my time playing allies that it is a struggle at times to try and counter Panthers with TDs, (don't get me wrong, Allied TDs are good most times against Axis armor, but that RNG factor of it sometimes deflecting entire volleys is frustrating to me) maybe it's just that the RNG gods hate me, but there are times where 2 or three Fireflies fire at once into a Panther and all of their shots simply bounce off harmlessly, there is often a similar situation with SU-85 where entire volleys are rendered useless by the Panther's thick frontal armor, due to the Firefly's incredibly slow reload times, they are actually disproportionately affected by deflected shots. For the axis, Panther's can't get close enough to engage with and destroy allied TDs, first off, the panther was meant to dive after injured vehicles and flank Allied TDs, not frontally A-move against them, same way that shermans and T-34s are meant to dive and flank jagdtigers and elefants. Meanwhile, The point of this patch is to get Axis players to utilize their ATGs more to counter late game Allied TD spamming, the latest update allows the panther to be more effective while flanking with the reload time decrease, reducing panther armor is simply for discouraging players who want to frontally bum rush TDs, in other words, play differently with your panthers. As for late game vehicle balance, Axis ATGs and heavy TDs already far outclass their allied equivalents: Jagdtigers and Elefants practically hard counter any and all allied TDs save the firefly, (firefly has those stun rockets), while ATGs are easily the best counter to Allied TD spamming, triple raketen or PaK could basically one volley a jackson or force Fireflies and SUs to retreat to a safer position. Complaining about Panther spam not working against Allied TD spamming is the same as pre-december patch conscripts getting beat by volks every step of the way - the game is designed that way. Regarding ATG balance: Axis ATGs are more dedicated Anti-Tank assets, the Pak has the TWP, and raketen has a slurry of vet improvements that will practically erase allied TD spammers. Not to mention that the more accessible raketen has the same penetration values as a ZiS gun, has access to retreat, and has better veterancy improvements. The PaK will easily cut through any allied armor, even heavies, it would only make sense for such dedicated ATGs to have less utility, The PaK 43 and 17 pdr. are rare for good reasons: they're not very useful beyond their emplaced range and are vulnerable to arty, I wouldn't recommend going for either one, and they're meant to be situational. As for artillery balance: the panzerwerfer should have their suppression from barrage removed, but should get reduced scatter, the RNG factor in using Panzerwerfers is notorious, and for a unit designed to defeat infantry blobs, it's pretty garbage. I would suggest changing the costs for howitzers for both the allies and axis to a fuel plus manpower cost rather than simply 600mp a piece. it's too much of a drain on a players mp, and adding a fuel cost to balance that out would make building a howitzer more viable in comparison to rocket arty spamming. I rather relic preserves the superior axis late armor. The point being late. Let them take more teching time, instead of making every late game units samey. They are already limited to single unit, nothing a bunch of cheaper faster allies cant handle. The old days of multiple tigers are gone, stop trying to make coh2 less asymmetric. improved kV-1 to the level of a breakthrough tank. update for b-4: free switch between guns and howitzers. In the first mode, it is similar to other anti-tank guns of the factions(but slower reload) and the second a full howitzer. to give the Commissioner of BAF in this doctrine. .- Buffs on the guns. The doctrine of replenishment of recruits. to give to the PPSh-41 access to purchase PTRs for new recruits. .Overall improvement: Guards and shock troops - will change their experience levels ?Guards instead of installing the light traps can get the hang of occurrence. But shock troops is something else. Defensive Doctrine community. It is possible to put to the vote. For OKW it is Necessary to reconsider: the Doctrine of Control. The doctrine of resource extraction. The doctrine of the fiery assault. Merge abilities: Antenna signal monitoring + Early detection. Give the selected fire areas (similar to a mortar cover from the Brits). to Unite abilities: a Thorough search + infiltration Tactics - Advanced Arsenal. To give an ability of construction of extraction points on site.(folksgrenadery). to Unite abilities: a thorough search+results flamethrowers - advanced arsenall. Ability compensation for loss - zapolnit buff to defense, the new name of the violent assault. Replace the ability abstral 200 mm shells for more deshovy ability: abstral incendiary ammunition sector. US army: Require a revision of the doctrine. Armored company. Rifle company. Company intelligence support. 1) Armored company. - to remove an elite crew. New ability - advanced repair kit. passively increases the speed of repair crew equipment. 2) Rifle company: - to Remove the ability of light sabers and a flamethrower. New ability advanced features: the Arrow can use light sabers, put the sand bags. Engineers can be equipped with a flamethrower. The ability to move it and replace it with the heroic ability attack speed increase+survival+accuracy, after the termination of the squad moves on foot(10 seconds). Recoilless rifles - the arrows can be equipped with 57-mm recoilless rifles with cumulative projectiles. I don't understand why Relic makes surveys about changes of the Soviet commanders and includes those which need to upgrade only a couple of units or abilities. Seems more reasonable to change those commanders whose abilities are mostly the same (as you can see from the picture below) in the first place. These abilities are of the same cost and effectiveness so there's no particular reason to put them on different commanders. @3_HARD_BOILED_EGGS, Perhaps you should realize that you've identified your own flaw in your argument there. Yes, RNG can be annoying and having 3 Fireflies firing at a Panther frontally may not penetrate its armour (and I honestly think it shouldn't and you should try to flank the Panther in those situations but that's a different matter altogether). Just because RNG didn't favour in you in your last match does not mean that the unit Panther should be nerfed. What sort of logic is this? You are trying to permanently lower a unit's combat capability based on probability outcomes. Also, I have not seen your replay video but you should also consider that some Panther users are exceptionally good. They won't reveal their side armour, they will engage targets from a distance (as Panther should and did historically) and they will only dive in for the kill once they know that there is no imminent threat to the Panther's survivability. Also, the main goal of this patch shouldn't be about making German late-game armour so not viable that WM and OKW have to rely on anti-tank guns. Since when did Panzers (the true elite element of the German Army) become so inferior to their allied counterparts that Germans have to now rely on anti-tank guns? Look, the matter seems very clear-cut. No nerfing for any German unit. German Panzers in CoH 2 have always been a pale imitation of their historical true selves. Yes, German Panzers should be more costly than Allied tanks but where on earth is their famed superiority? How is it that American tanks have more abilities than German tanks? How come British Cromwell and Comet tanks have Tank Commanders as default upgrades when German tank commanders were far more famous for their exploits and accomplishments? I can list more imbalances that seem totally irrational to me but I'll stop here. Honestly, I sometimes want to show a US or UK veteran a game of CoH 2 and hear from them what they have to say about the current sorry state of this game. I will continue to state this whenever I get the chance but DBP should not go through if Relic is thinking about nerfing German factions in anyway because they desperately need buffs. Did Relic add the FBP call-in tech requirements for this patch? I hope so. And there appears to be a bug where if units are hiding behind barbed wire that wired off sandbags, they still get the heavy cover icon and are definately harder to supress then troops in the open. Did Relic add the FBP call-in tech requirements for this patch? No, unfortunately, which is why the M4C is hard locked (though it arguably ought to be anyways). And there appears to be a bug where if units are hiding behind barbed wire that wired off sandbags, they still get the heavy cover icon and are definately harder to supress then troops in the open. You might have just placed your wire too close to the cover so it wasn't actually being denied. Holy crap, Batman(sorry for the bad pun, but if you are a russian supporter of this game utilizing a Batman profile picture(absolutely a face of the western world! ), then you kinda had it coming!! That might be just a tad too much, Dude... IF I even had the mathmatical skills to decipher your post! Mmm, even as an axis only player and many of my likes properly came from you, I must admit that you lost me at "I think they should", to the question of the Panther bouncing 3 FF shots..!!! Actually its clear that the shock troops were not touching the sandbags at all. At 41:24 in the video the shock troops should be dropping a lot faster than that with vet 3 g43 pgrens and an mg42 trying to suppress. Made an account just to post on this patch. Seems like there are no nerfs to simcity Brits and there are some pretty big nerfs to Axis coming out of nowhere. Me and my guys used to play this game a lot before the simcity Brit strategy really took hold of the team game meta. Trying to compete against 2-3 Brits putting up Mortar pits the more congested / chokepointy maps like Lorch is a real pain. Mortar pits are very difficult to deal with on these maps against better teams. How about some love for Wehrmacht in team games? 5th man for Grens/Pios would be nice given Wehr's reliance on team weapons to have a chance at dealing with the much stronger Allied infantry. Panzer 4s could use a fuel cost decrease as well, or some buffs make them competitive against cromwells or against t34/sherman spam. It would also be great if we had a more reliable way of destroying Soviet Forward Headquarters in team games. I remember in COH1, you could task a unit to decap a Forward HQ'd building if it wasn't being supported properly by your opponent. Based on my (pretty extensive) experience, it's almost impossible to deal with Soviet HQ cheese on maps like Vielsalm (left side of the map) and pretty tough to deal with on Lienne Forest (left side of the map) as well, since even if you push them off the FHQs you can't really punish them by taking out the HQ. I think 15% is a good spot. I like the idea of forward retreat points having an Achilles heal. I've experienced it first hand as well. It makes building bags not worth it at all. The fact that you need to wire it off and yet the enemy still manages to find cover. And a light vehicle can just run over all your work. In CoH2, axis players whined that allies had advantage in early game, so that got balanced and early game got equalized. If you did not see axis advantages being gunned down for late game, you were not in touch with changes for past 2 years. FRP nerfs are way overkill, especially for OKW. Increased cost is just stupid - that throws the whole balance out of whack. People complained about the fall balance cause so much stuff went overboard. This is way too much at once. Just do the territory cap requirements and make reinforcements train 20% slower instead of costing 20% more. I say it's overkill for OKW because it's not just the FRP building, it's also the tier 1 tech building. It's designed to be the first tech building the majority of the time, and it's immobile. If u delay the FRP, you make it VERY difficult to defend. This wouldn't be a problem if it wasn't the first tech structure, but that's just too much risk. OKW are forced to decide very early on where they want their FRP for the whole rest of the game. If u delay the FRP tech, u make that position essentially indefensible early on. I'd you're going to insist on the tech delay, u need to at minimum make MG34 tier 0 so OKW can set up some defense before placing the building, but much better would be to allow the truck to pack u and relocate. That way u wouldn't be forced to risk the tech building long before it actually offers any actual forward benefit. These changes, left as they are, render the OKW FRP pointless. U might as well just remove the ability altogether. afaik, allies early game is still a touch better than axis in coh2. 5 man squads/penal + stuart/t70/mortar/bofor + forward base + sherman/t34/cromwell. likewise axis late game is still a touch better than allies. with the dec patch, relic is nerfing axis marginal late game advantage. axis late game has been marginalised since TD got the big boost. Community Wehrmacht defense doctrine needs some updating. Its one if not thee worst commanders in the german arsenal. This is what I recommend when updating it. Not many changes but changes that would overall better the doctrine. 2- storm trooper or assault grens- units used to either fight in close house to house combat or specialize in slowing down the enemy to ensure the defensive line. 12- sector artillery - when you really need to ensure the security of the line and just need to shell something hard. I wonder if Relic is courageous enough to cut down on the commanders. Have 3-4 per factions, make each of them have 6 capabilities, maybe bring back the branching options. Make all weapons upgrades non-doctrinal. Commanders will just be off-map arty, call-in elite units and enhanced armor/teching. Seriously the present setup is not good, nothing can fix them been meta-abused. Cutting content is the worst thing developer can do to the game, regardless of quality of that content. And you're not talking about balance patch, you're talking about complete game revamp.